This message is included in our new book ”Love Is The Key”, which is now available in Kindle e-book reader format from amazon.com. Click this link for details or to order. Use the Amazon ‘Look Inside’ feature to view the initial pages of the book, including Kay’s ‘Foreword’ to the book in which she describes how she became a trance medium. Kay channelled this message in 2010. It is in our book Earth Messages of the Love Energy. It is one of many messages that we have received about looking after the Earth where we live. Mothers give their children love and they nurture them until they can become themselves. A mother’s love is never seen to be depleted and yet it can be when love is not returned by the child. Earth is the mother of all humankind and it has been giving of itself over and over again. It is now time for humankind to return the love to Earth – its mother, in order for it to continue. Take up arms and help the Earth – for you need it. It is time to say thank you and love Earth – your mother. This is one of the earliest messages that Kay channelled from The Circle of The Light of The Love Energy in 2009. The following message was channelled from The Circle of The Light of The Love Energy by Kay on 13th April 2012. Move closer to the part of you called spirit and become in harmony with the Source. This harmony is unity and the unity is oneness, and that is all that there is. In oneness, your heart – the essence of you – will be the operating centre and the Light will be. You will be in appreciation of all that you are. You will be able to move and feel more than the third dimension in which you experience your life. Ensure you give yourself a daily gift of peaceful time to experience the joy of being Light. The following message was channelled from The Circle of The Light of The Love Energy by Kay during our Tuesday night meditation group on 4th April 2012. Oh, what wonderful energy is with you tonight! We have brought the Light. It streams in and it nourishes you. If you feel it at the heart you can move from where you sit to where we are and you can experience the dimension of the Light. Do this when you come as you will improve your connections and you will experience the dimension of love. You will leave your heavy feet behind and you will soar and realise that there is so much more. Feel, feel with your very being and then you are all that you are. Kay channelled the following message from The Circle of The Light of The Love Energy towards the end of 2011. This message is used as the introduction to the second track called ‘Energy Visualisation’ on our meditation CD. Click the following link to hear Kay speak this message. The CD is available from amazon.com. Click this link for details or to order. This message is also included in our new book ”Love Is The Key”, which is now available in Kindle e-book reader format from amazon.com. Click this link for details or to order. Use the Amazon ‘Look Inside’ feature to view the initial pages of the book, including Kay’s ‘Foreword’ to the book in which she describes how she became a trance medium. 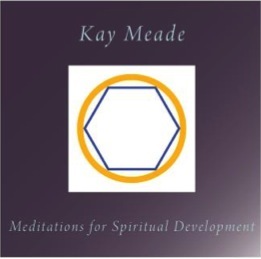 Kay channelled the following message from The Circle of The Light of The Love Energy in 2010. The Kindle e-book version of our new book ‘Love is the Key’ is now available from amazon.com. Click this link for details or to order. Use the Amazon ‘Look Inside’ feature to view the initial pages of the book, including Kay’s ‘Foreword’ to the book in which she describes how she became a trance medium. Note: The paperback version expected to be available from amazon.com in May 2012. Kay channelled this message earlier today, 9 April 2012.